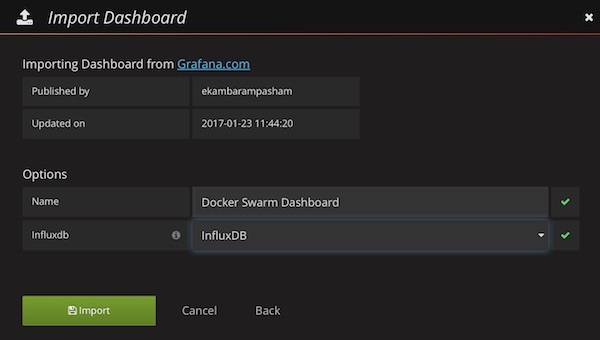 In previous tutorials I showed the basics for docker monitoring with Prometheus and Jenkins. Here are now the basics with cAdvisor. Many steps are similar and can be implemented just as quickly. 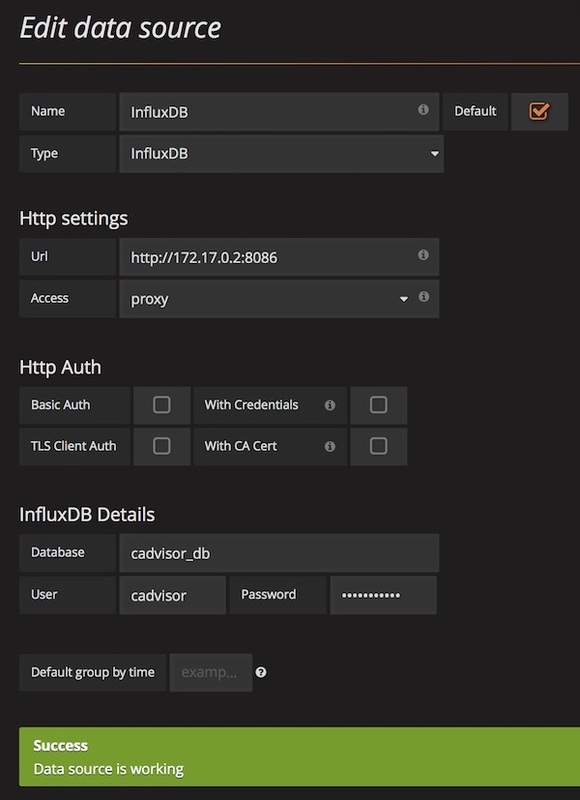 This time we start with InfluxDB, because cAdvisor needs it for connection! $ curl -G http://localhost:8086/query --data-urlencode "q=CREATE USER cadvisor WITH PASSWORD 'password123' WITH ALL PRIVILEGES"
$ curl -G http://localhost:8086/query -u cadvisor:password123 --data-urlencode "q=CREATE DATABASE cadvisor_db"
Now we will use User, Password and Database name. You can find the documentation here. After a while we can also see if cAdvisor sends metrics to InfluxDB. # show measurements (be patient) $ curl -G http://localhost:8086/query -u cadvisor:password123 --data-urlencode "db=cadvisor_db" --data-urlencode "q=SHOW MEASUREMENTS"
$ curl -G http://localhost:8086/query -u cadvisor:password123 --data-urlencode "db=cadvisor_db" --data-urlencode "q=SHOW MEASUREMENTS"
After login (admin:admin) configure new DataSource for InfluxDB. Select already created DataSource (InfluxDB) and press “Import” button. 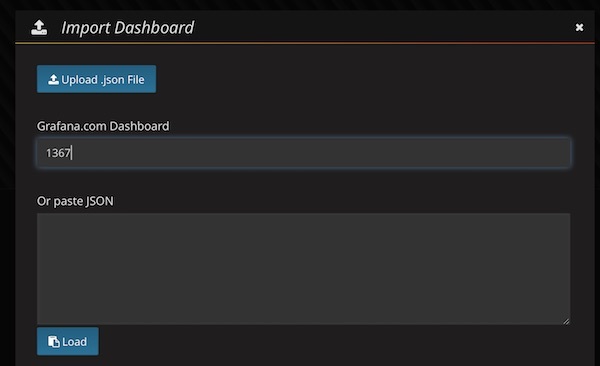 Now you should see the Grafana Dashboard.